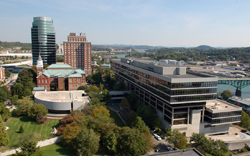 The Knox County General Sessions Courts hear between 65,000 to 70,000 cases each year. The Knox County General Sessions Courts will be closed when Knox County schools are closed for road conditions due to snow and/or ice. This policy does not apply to delayed school openings. If you have questions concerning a criminal case, (public intoxication, bad checks, traffic violations, misdemeanors, DUI, and court payments) contact the Sessions Court Clerk's office at (865) 215-2375. For all civil cases (civil warrants, garnishments, petitions to pay) direct questions to (865) 215-2518. The Clerk's office will maintain normal business hours. We hope our web page will be of value to all members of the community.